Suzanne Letso: The provision of behavior analytic services has changed over the last 20 years. Our success stems from our reliance on empirically validated behavior change procedures, yet sound clinical expertise alone does not ensure success. This presentation will discuss challenges and opportunities behavior analysts face working in applied settings. Strategies to drive our own professional development, and that of our employees will be outlined; and how that development process drives organizational initiatives and advancement of our profession will be discussed. Nic Weatherly: As behavior analysts, we are all continuously working to integrate best scientific practices into our daily work. If a new job or promotion expands an individual’s scope of practice beyond the direct implementation, their scope of practice has now shifted from clinical services to managing employee performance—and the same science applies to these leadership responsibilities. The purpose of this presentation is to discuss Organizational Behavior Management as it applies to the transition and growth during one’s career as a leader in organizations. Maysoon Zayid Luncheon included with registration for this forum. Mark Palmieri: It is quite common that educational systems and other human service organizations experience substantial barriers when trying to support system-level change. As a result, not only does the system fail to provide high quality care, but those working within it experience burnout and initiative fatigue. This presentation will review processes for building system-level motivation for change while using high quality methods to assess needs and build plans for progressive service delivery improvement; both of which are aligned with high-quality, evidence-based practices and customized to the culture and dynamics of the targeted system. Stephanie Peterson & Becky Eldridge: We will present an “ideal system” of service, training, and research in an insurance-funded autism center. Then, we will address a number of challenges we faced during our attempt to implement this system and the creative solutions which were attempted to meet these challenges. Discussion points will focus on how we attempt to sustain the business while maintaining quality. Specific topics may include how to maintain quality services under pressures of cuts to billing rates, how to collaborate with faculty to create a high quality training program that benefits your organization’s bottom line, and how to organize with other area providers to advocate for state-wide changes. Suzanne Letso: Will share the results of the BALC Needs Assessment Survey. Linda LeBlanc: Will present on structured problem-solving. Zayid Luncheon included in registration for this forum. In a one-day workshop, participants will learn to teach functional life skills using Essential for Living, a Communication, Behavior, and Functional Skills Assessment, Curriculum, and Teaching Manual for Children and Adults with Moderate-to-Severe Disabilities, including Autism. This will be accomplished through didactic and hands-on training. Specifically, participants will learn to: select functional skills for older children, adults, or children with very limited skill repertoires or multiple disabilities and develop functional IEPs and ISPs, improve the effectiveness of their instruction and minimize the occurrence of problem behavior by emphasizing The Essential 8 Skills, select an alternative method of speaking for non-verbal learners that lasts a lifetime measure and document very small increments of learner progress, track learner progress with respect to functional skills and problem behavior, track very specific information about supports that learners require and easily transfer this information to new settings or new programs, and teach more effectively using specific, scientifically-validated procedures. Maysoon Zayid Luncheon included with registration for this workshop. Baer, Wolf and Risley (1968), noted that competently applied behavior analytic interventions should result in strong, socially important, and generalizable outcomes which, in this case, should mean positive adult outcomes in ASD. Unfortunately, despite an emphasis on evidence-based intervention in ASD, adult outcomes remain poor “for almost any outcome you choose.” (Roux, et al, 2015, p. 8). While there may be several reasons for such continued poor outcomes, the potential of applied behavior analysis to support more positive adult outcomes has yet to be fully explored or realized. More positive outcomes should, however, be well within the reach of our behavior analytic technology. This workshop will provide an overview of a number of interventions and protocols designed to address this “outcome-deficit” via a better understanding of linkages between skills targeted in preschool, elementary, middle and high school to those required in adulthood. In addition, challenges related to translating effective behavior analytic intervention from the clinic or classroom to the community at large will be reviewed. The transition into adult services can be intimidating for students on the Autism Spectrum and their families. It is often a wake- up call to families when their child has graduated. The services that they have known for 18+ years will be changed from the educational system to state services. As Behavior Analysts, special educators, and professionals working with young adults it is our responsibility to help prepare these students to the best of our ability for this transition. In this presentation we will identify different skills that are needed to actively participate in this next stage of life. We will also discuss how to develop a transition plan to set the students up for success in adult services, and share some examples that have shown success. We will talk about different reinforcement and treatment procedures to support their effectiveness and their ability to be both maintained and generalized to the next step of life. This workshop is primarily designed to help new and veteran BCBAs, BCaBAs and RBTs interpret, understand, and apply the ethical standards of applied behavior analysis. Specifically, this workshop will present ethics scenarios experienced by expert BCBAs earlier in their careers in terms of how they acted at the time and how they may act differently now with the benefit of time and experience. This workshop will help behavior analysts further understand (1) the importance of professional collaboration, (2) the impact of experience on ethical behavior and (3) the advantages of working with both newer and more experienced BCBAs as it relates to the ethics code. Through lecture and small group activities participants will be presented with situations confronted by behavior analysts, evaluate the ethical and legal implications, and develop potential solutions and ways to approach similar situations in his/her own practice. To be an effective supervisor of individuals the supervisor needs an understanding of how to effectively provide training and supervision for job skills beyond what is outlined in the task list. Although it is important and required to be in compliance with the task list, it is also important to develop an understanding of other contextual and indigenous contingencies at play for the supervisee working in a particular employment environment. These practical and unique challenges can be addressed with an understanding of individuals’ reinforcement histories and the application of evidence-based supervision protocols. This presentation will also review how to identify and develop measurable goals and objectives and performance improvement plans for supervisees. Practitioners providing intensive behavioral intervention for individuals with autism are expected to use “evidence-based practice,” but what exactly does that mean? 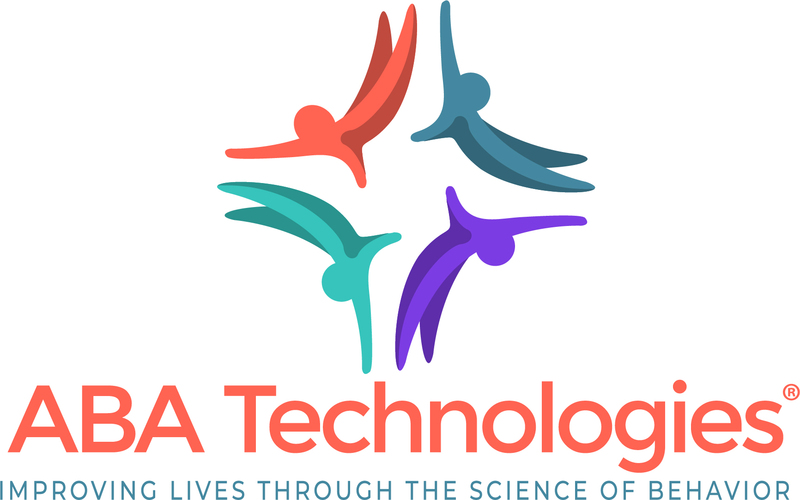 Are all technologies derived from the science of applied behavior analysis evidence-based? In this workshop, we will discuss how some groups define evidence-based practice, what standards they use to evaluate the research literature, and specific practices that have met those standards. Then we will turn our attention to how behavior analysts can embody the scientist-practitioner model to evaluate the efficacy of various procedures with individual clients. We will practice designing clinical evaluations to determine the efficacy of conceptually systematic interventions as well as pseudo-scientific interventions. A panel of special education attorneys and advocates will be discussing what behavior analysts need to know about the US Supreme Court Endrew F. decision, the IEP Process and the science of ABA in special educating litigation. For the first time in decades, the US Supreme Court has rendered a decision on what the “A” means in FAPE. In Endrew F. v. Douglas County School District, the Court defined the legal standard of what schools must provide to special education children in order for the IEP to be “appropriate” under law. Heralded by many as the “Brown v. Board of Ed” for disability rights, learn how Endrew F. will impact all aspects of IEP development, including “ambitious” goals, to how services and progress may be viewed by a Hearing Officer or Court. The session will discuss precursors to Rowley, the Rowley decision, Post Rowley, and a close reading of Endrew F. In addition, the presenter will discuss practical applications to using Endrew F. Often BCBAs, and those who work with them, are unaware of the intricacies of the complex laws which govern the IEP process, and yet these professionals are often written into the IEP document. In addition, many BCBAs get caught between their ethical obligations to the students and the pressure they sometimes receive from special education administrators. This presentation will give you the tools to understand the legal rights of children with disabilities to allow you to effectively participate as a responsible IEP team member. The legal presentation will also cover defending the science of ABA in special ed law litigation. There will be an opportunity for dynamic conversation followed by a comprehensive question and answer session to answer audience questions relating to special education law. This hands-on workshop will focus on the BACB Professional and Ethical Compliance Code for Behavior Analysts. Participants will review the ethical requirements in our field, identify a basic framework for addressing ethical issues, understand preventative strategies, and role play how to address different ethical dilemmas. Finally, participants will learn what resources are available to them if they become aware of unethical behaviors. The number of behavior analysts being hired by school districts, companies, agencies, and organizations is increasing dramatically as the value of empirical outlook and training is becoming more widely recognized and accepted. This growth has been not only in the number of behavior analysts hired but also in the various roles and responsibilities assigned to them. Many of these roles involve supervisory responsibilities requiring skills that go beyond the task list (and in many cases beyond the training of the behavior analysts) yet are critical for success. This workshop will seek to identify some of these skills and consider examples of “expert opinion” in relation to known behavioral principles and procedures. Six critical skills or sets of skills will be presented with suggestions for incorporating them into one’s on-going supervisory responsibilities. Within certain areas of healthcare, it has been documented that treating patients with compassion and empathy can have important benefits, such as increasing patient satisfaction, enhancing adherence to treatment, and improving clinical outcomes (e.g., Beach, et al., 2006; Hojat et al., 2011; Weiss et al., 2017). While current empirical support for these outcomes is mixed (Kirby, Tellegen & Steindl, 2017), there is increasing scientific interest in the benefits of compassion. That broad-based interest notwithstanding, the data-driven field of behavior analysis has yet to develop an operational definition of compassion, or to identify discrete compassion practices which might have applications in our clinical work. This presentation examines behavioral responses that may comprise compassion, and considers how compassionate care of our clients and ourselves can enhance our work as behavior analysts, and potentially improve clinical outcomes. Large human service agencies provide amazing opportunities for organizational analysis and implementation of standard process, procedures, and cultural change interventions. This presentation will describe the process for developing clinical standards in several critical domains including client relationships and protections, assessment, data collection, and supervision. Strategies for implementation and ongoing management of the systems will also be reviewed. The demand for ABA services outweighs the current supply of Behavior Analysts and Behavior Technicians in every market in the United States. As a result, organizations must have well developed recruiting, retention and development strategies in order to grow. A key to differentiating an organization in a competitive landscape is a strong company culture. This presentation will provide tips for ABA business owners and managers to use to help create their own unique company culture. This presentation will also interweave applicable sections of the BACB Professional and Ethical Compliance Code that need to be adhered to as it relates to culture, advertising and public statements. Determining the presence of anxiety in minimally verbal children with ASD is challenging given their limited ability to self-report coupled with the overlapping features of anxiety and ASD. In contrast to verbal individuals who can report on verbal/cognitive and subjective experiences, assessment in this population is often limited to the behavioral domain. We use the term anxious avoidance to refer to avoidant behavior associated with traditional indicators of anxiety (e.g., fearful affect); whereas simple avoidance is used to refer to avoidance of non-preferred situations in the absence of apparent anxiety. Multi-method, multi-modal behavioral assessment strategies demonstrated to be effective with neurotypical individuals should be employed. Functional analysis of avoidant behavior and evaluation of parental anxiety is critical. Graduated exposure and related interventions demonstrated to be effective with typically developing children are applicable to individuals with ASD – though minimally verbal children will likely be unable participate in cognitive-behavioral therapies. With the increase in demand for qualified behavior analysts across various populations requiring specialized behavioral services there is also a need for behavior analysts to be culturally competent. The field has acknowledged the need for providing future behavior analysts with the necessary training to promote cultural awareness and competence. This is a separate skill set within itself that must be taught to all practicing behavior analysts in order to ensure that culturally sensitive behavioral interventions are considered when necessary. Some of our most challenging and exciting opportunities as behavior analysts lie in our potential to make change within systems that are far from their goals. Specifically in educational settings, it can be intimidating to endeavor to effect change in systems with limited capacity. We may encounter barriers related to staff training, material resources, and perspectives that conflict with our own. This talk will present baseline and within-treatment data collected within complex educational systems using a Quality Indicator tool. We will then discuss processes for translating the data into meaningful consultation objectives and using these objectives to drive our work and maximize improvement at both the individual and system level. This track is not eligible for CEs. This presentation will benefit direct service providers who have attempted to teach activities of daily living (ADLs) and/or other complex skills, but experienced challenges when guiding the learner through the steps of the task analysis. Chaining will be discussed from a practical point of view to clarify the differences among the three major chaining techniques including backwards, forwards, and whole task (total task). Furthermore, it can be challenging to understand which client would benefit the most from which type of chaining, so this presentation will touch on when it is most appropriate to use specific types of chaining. The presentation will conclude with a discussion of prompting hierarchies and prompt fading sequences in order to support successful teaching of skills. By systematically teaching children how to engage in more prosocial behaviors they are able to better access their learning and develop stronger relationships with others -- Ultimately, leading to a better quality of life. This symposium will explore peer-reviewed research that supports the implementation of self-monitoring systems for individuals with autism of various ages and developmental levels. A detailed discussion of self-monitoring procedures incorporating a "match" component will also be presented, with specific focus on the Self & Match System, a user-friendly, easy to implement, empirically-supported system. Participants in this session will strengthen their knowledge of necessary considerations prior to implementing self-monitoring interventions. Together, we will unpack the Who, What, When, Why, Where and How of effective self-management interventions for individuals with ASD. This presentation will review the new CT Behavior Analyst licensing law that went into effect 7/1/18. This law requires that those providing Applied Behavior Analytic services must either be licensed as a Behavior Analyst or be providing services under the auspices of an alternative professional designation that encompasses behavior analysis within its scope of practice. What a scope of practice is, who can/cannot provide services under what conditions, what services can/cannot be delegated by licensed Behavior Analysts, and ramifications for practitioners who do not have behavior analysis delineated within their professional scope of practice will be discussed. Recommendations for DDS service providers, insurance funded services, and school district funded services will be discussed. Information regarding how consumers, employers or others can verify an individual’s certification/license status will be provided. Behavior Analysis as a science has the potential to produce significant changes in all areas that involve human behavior. Recently, the field has had a tremendous impact in the treatment of autism and other developmental disabilities, and has gained much public recognition and acceptance. However, many behavior analysts often lament the apparently narrowing focus of the field into just one subject area, and frequently ask - why haven't we done more? Outside of clinical behavior analysis, there are a number of individuals working to apply the science of behavior to a great variety of settings and populations. The present talk will present a case study of how behavior analysis has been used to influence performance in a very "non-traditional" setting - A real estate company. Security Programs for organizations should be constantly evolving. The Security Program must take a sweeping view of the organization it serves to ensure the integration of security processes, people, and equipment are fully aligned with the organization’s goals, values, and tolerance for risk. In this presentation, we will discuss the role of physical security for facilities, integrating employees into new security procedures in public and private settings, integrating security practices with other organizations for staff that work at different locations, and ensuring strong policies are in place that will inform security procedures. Employee wellness programs are a popular benefit offered by many businesses today. Weight loss programs, gym memberships, and even adult playgrounds are becoming increasingly common in the workplace. In the human services field, these programs are not as commonly offered due in part to fiscal constraints, but there are some viable options. We will provide some examples of less costly alternatives that can be developed internally, as well as discuss the defining features of successful employee wellness programs, and how to measure their effectiveness. Equivalence-based instruction (EBI) has been demonstrated to be an effective instructional tool for teaching a variety of skills to a wide range of learners. However, teaching protocols based on EBI have yet to be widely adopted by BCBAs, teachers, and trainers, and are often not used in applied settings such as staff training or with children with autism spectrum disorders. Proponents of the use of EBI protocols have asserted that this failure might be because EBI protocols require substantial resources to develop and there are no known manuals or guidelines to assist BCBAs with the development and implementation of EBI systems. As such, the purpose of this presentation is to teach attendees how to develop EBI systems using low-cost and easily accessible computer-based learning tools and web applications. This tutorial will review the recent history of EBI, theoretical and conceptual interpretations of derived relational responding, advantages of emergent learning protocols, and practical applications of simple and easy-to-create EBI systems. A web-based training “application” will be demonstrated, and participants will be provided with simple digital resources necessary to create their own training applications based on the principles of derived relational responding. Decades of research on applying behavior analysis to business and leadership practices has given us a number of tools proven to be effective at creating meaningful behavior change. However, OBM is not a one-stop-shop, only to be accessed when something goes wrong. OBM is a continuous process, with value that can be seen at all stages of employee development and advancement and across all level of an organization. Good leaders don’t just wait for an issue and then work to put out the fire; they proactively assess and coach to avoid the issue in the first place. They are deliberate with their performance-improvement efforts. Systemic culture change comes through sustainable leadership initiatives and at the core of these initiatives are leadership coaching systems. The purpose of this address is to discuss leadership and coaching in the context of organizational culture and management practices, while offering tips for sustainable performance-management systems. The application of teaching strategies outside of the structured classroom setting can present with unforeseen challenges. While traditional teaching strategies within ABA are successful, some are not as easily utilized within an unstructured environment, where more natural interactions and situations are occurring that our students/children need to learn to navigate. Within this presentation, the use of naturalistic teaching strategies will be discussed, with a focus on how to utilize them within a variety of environments. The heart of data analysis for the science of behavior exists as a time series visual display called the line graph. Contemporary behavior analysis has adopted a nonstandard, linear graph. While the linear graph does provide basic information for data analysis, several limitations hamper outcome resolution. Additionally, the nonstandard nature of the graphs can negatively impact data interpretation and communication through construction graphical practices such as improper scaling and physical manipulations of the size of the graph. Therefore, behavior analysts find themselves with a limited set of options for data analysis at best, and a compromised or misleading analytic tool at worse. On the other hand the science of behavior can have a standard ratio graph that quantifies within and between condition analysis. The standard, proportional view of data and subsequent behavior change statistics offer an unparalleled suite of analytical tools and decision making tactics for practicing behavior analysts. The following presentation presents a case for a standard ratio graph, namelt the Standard Celeration Chart. Many behavior analysts are responsible for the performance of others. Even under the best conditions, it is likely that supervisors and managers will encounter staff who demonstrate persistent performance issues. Implementing an evidence-based assessment and performance management system will increase the chances of making a positive impact on the individual’s performance. In this presentation, I will discuss the Performance Diagnostic Checklist- Human Services, a structured evidence-based approach for evaluating and addressing performance issues. The role of a practicing behavior analyst often starts in the direct provision of services. Once a practitioner gets so good at this service provision s/he will often get promoted, responsible now for supervising others. The progression through roles of management, senior leadership, and business operations offer unique challenges to behavior analysis. Organizational Behavior Management means using behavior analysis to get results through other people. And the science used to impact the behaviors that impact those results is the same science behind the exemplar front-line practitioner. There is value in using this science to maximize performance. The purpose of this talk is to highlight this value and offer tips and tools to aid behavior analysts in their use of OBM in their respective organization. Starting a business is not just a matter of identifying clients who need your services. In addition to the financial issues that a new business typically faces, there are a variety of potential legal complications that can arise. This workshop will focus on some of the significant legal issues that you should think about and address when starting a business either by yourself or with someone else. Despite access to intensive intervention rooted in the principles of applied behavior analysis, many learners experience plateaus as instruction shifts toward expanding the size and scope of mand, tact, interverbal and listener repertoires. For these students, the move beyond single word communication quickly proves to be quite complicated, and as these failures become more apparent, instructors often struggle to develop effective instruction of complex language and social skills. This panel discussion will provide participants with examples and scenarios to help guide the decision-making process when faced with a learner who is demonstrating these learning barriers. Descriptions of the differences between developmental assessments/curricula and functional assessments/curricula will be reviewed (with emphasis on the VB-MAPP and the Essential for Living). Additionally, information regarding when a circular change may be necessary will be presented, along with strategies for structuring instruction for learners with this profile. Contextual Behavioral Science (CBS) includes the research and therapeutic umbrella that includes Acceptance and Commitment Therapy and Relational Frame Theory. The CBS paradigm is considered an expansion of behavior analysis, seeking to further the science utilizing contextual philosophy, research methodology, and application of environment-behavior relationships to increase the link between science and practice (Hayes, Barnes-Holmes, & Wilson, 2012). The goal of this panel is to introduce the concepts underlying CBS and discuss the application of CBS principles through the lens of practicing clinicians. The panel will include both early-career and more experienced clinicians who work across a variety of settings. Additionally, several evidence-based assessment tools will be introduced and briefly reviewed for practical progress monitoring of treatment. Lastly, strategies utilized by the CBS paradigm will be discussed with regards to the everyday practice of applied behavior analysis. Hayes, S. C., Barnes-Holmes, D., & Wilson, K. G. (2012). Contextual behavioral science: Creating a science more adequate to the challenge of the human condition. Journal of Contextual Behavioral Science, 1(1), 1-16. When conducting functional behavior assessments (FBAs) in classroom settings, there are other factors than an individual child’s problem behavior a behavior analyst may need to consider. For example, the behavior analyst may discover that the “baseline classroom conditions” are inadequate. For example, instruction may not be appropriate and classroom management techniques may be inadequate. It is important for the behavior analyst to consider these baseline classroom conditions, and perhaps help resolve them, before conducting an FBA for a particular child and writing and individualized behavior support plan. This presentation will review elements of baseline classroom conditions and possible solutions to resolve problems with baseline conditions. In this presentation, we will provide a summary of the most relevant aspects of RBT certification for practitioners. We will review the recently introduced RBT Ethics Code. In addition, we will discuss the RBT requirements for maintaining certification as an RBT, including supervision, recertification, employment logistics, and share other resources available to RBTs. On January 1, 2019, eight new Category I and two revised Category III (temporary) CPT codes for billing “adaptive behavior” services took effect. Adoption of these codes by health plans directly affected ABA providers, practices, and consumers. This tutorial will provide an overview of the new and modified codes and an update on the various implementation and valuation approaches payers have taken. 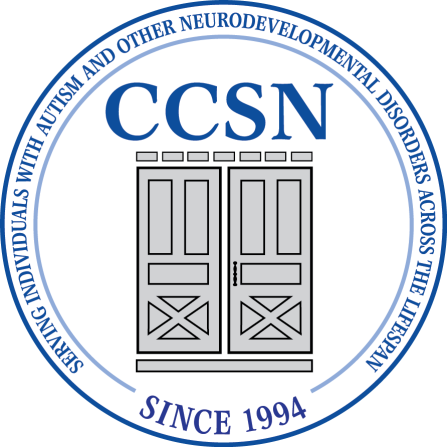 A status report on the efforts of the National Steering Committee which is a collaboration among representatives of the Association of Professional Behavior Analysis, the Association for Behavior Analysis International, the Behavior Analyst Certification Board, and Autism Speaks will also be provided. Many Behavior Analysts are concerned about a variety of legislative issues that impact provision of ABA services. Effective legislative advocacy requires individualized grassroots efforts, and leadership from people and organizations spearheading these initiatives. This presentation will focus on how individuals can become more effective advocates. Straightforward strategies that will empower people to get involved and have an enhanced impact on the legislative process will be reviewed. Instructions on writing public testimony, attending a hearing, and increasing our community’s response to a legislative call-to-arms will be discussed. Examples of successful campaigns and strategies will be provided. Growing an organization presents a unique challenge for the behavior analytic practitioner. Developing systems that maintain as company’s scale while maintaining the flexibility to address unique cultural diversity, employee satisfaction, and sudden legislative changes can include a variety of barriers. These panelists have each worked to grow successful regional practices within a singular behavior analytic organization using behavior analytic strategies. The panelists here will each discuss the current applications of organizational behavior management strategies, supervisory practices, and interpersonal skills used to establish, develop, and maintain large scale ABA practices as leaders within the organization. Appropriate safety precautions should be used when conducting a functional analysis to protect the client and for ethical practice. There are few, if any, explicit protocols offered to behavioral practitioners that consolidate the safety recommendations documented in the literature. Furthermore, beyond collecting a list of safety considerations, guidelines as to when to use these considerations are also lacking. What is needed is a more formal risk-benefit assessment procedure for practitioners. The term risk assessment can be used to describe both the safety considerations, and the decision-making process to ensure that a functional analysis is conducted in a safe, ethical, and empirically sound manner. We define the risk assessment, clarify the need to formalize this assessment, and discuss 4 specific domains that should be included in a risk assessment to identify potential risk to clients. Anxiety is a common and impairing problem in children and adolescents with ASD. There is increasing evidence that anxiety can be accurately and reliably diagnosed and dissociated from the core ASD symptoms. Behavioral and cognitive-behavioral interventions can be useful for anxiety in ASD. Neuroimaging studies hold promise for understanding neural mechanisms of anxiety in ASD and developing precise interventions for unique mechanisms of pathophysiology. Individuals with disabilities have poor postsecondary outcomes in comparison to typically-developing populations. Over two-thirds of individuals with intellectual disabilities are unemployed (Hendricks & Wehman, 2009) and adults with autism fared less well than neurotypicals and individuals with other disorders (Roux et al., 2013). Identifying ways to more effectively prepare students for transition to adulthood may help to improve these outcomes. Appropriate and effective interventions should be based on assessment to guide decision-making regarding targeted areas and program development. This report describes key components of a comprehensive transition assessment. In Intensive Behavioral Intervention (IBI), a set of rules has been passed down from mentors to their mentees about “best practices” related to treatment, and many practitioners become dogmatic about the use of certain procedures. However, many of these practices are based on little, if any, research evidence. Or perhaps there is a research basis, but the methodologies or findings are not as robust as one would like when making strong claims. The purpose of this presentation is to review recent research on practices considered to be best practice in IBI, such as task interspersal, mixed verbal behavior, preference assessments, small group instruction, teaching stimulus selection before teaching tacting, high-p instructional sequence, training with multiple exemplars and so on. Jason is young adult diagnosed with an autism spectrum disorder who is currently attending college. He will discuss the impact supports and services have had on him becoming an articulate advocate for the autism community. He will address issues related to communication, advocacy, independence and overall quality of life. While the number of programs offering coursework in behavior analysis continues to grow, a troubling consequence of this may be seen in the diminishing quality of supervision, as inexperienced BCBAs provide supervision to hopeful BCBA candidates. Successful behavior analysts possesses the right combination clinical and intangible “soft skills” - commitment to ethics, ability to collaborate, to think critically and make appropriate “in the moment” decisions, ability to be effective in different cultural and socio-economic situations, and ability to effectively communicate with all key stakeholders, across all settings. As the common supervision paradigm in the field of behavior analysis focuses on “teaching to the test,” we may have created thousands of “by the book” BCBAs good at following rules but lacking in ability to make decisions that are contextually appropriate. In short, the ability to think critically. This, combined with inability to influence parties in the service delivery process, is surely diminishing the effectiveness of the science of behavior analysis. This panel will explore basic, intermediate and advanced critical thinking skills that behavior analysts must possess to be effective service providers and supervisors. 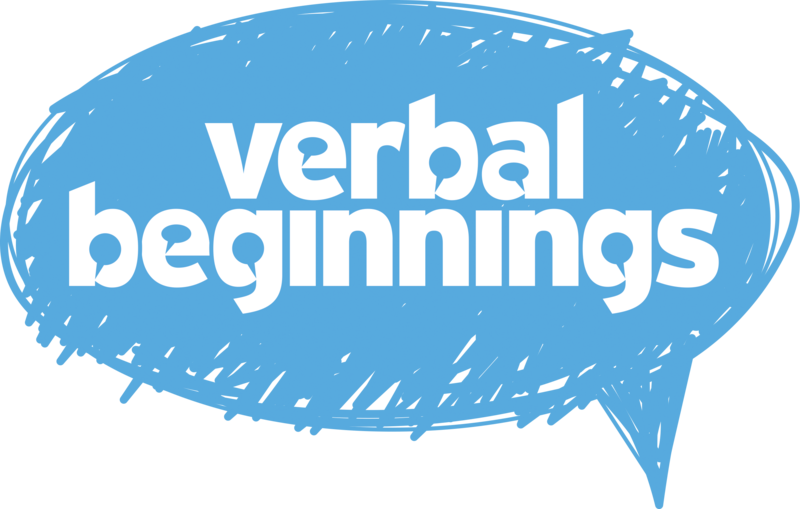 We will discuss the importance mastering critical skills, such as verbal mediation, to help increase problem solving and abstract reasoning skills. Recent developments at the Behavior Analyst Certification Board (BACB) will be discussed. The most current data on the BACB’s certification programs will be provided: Board Certified Behavior Analyst, Board Certified Assistant Behavior Analyst, and Registered Behavior Technician. In addition, a number of recent and impending developments at the BACB will be described, including changes to standards, new initiatives, and various international development activities. Prevalence of autism in U.S. children increased by 119.4 percent from 2000 (1 in 150) to 2010 (1 in 68). (CDC, 2014). This is a world-wide issue and requires a world-wide effort. However, today’s reality indicates lack of federal structures, trained personnel, informed parental community to attempt provision of quality support in majority of countries in the World. The behavior modification approach as a research-based treatment for improving quality of life for individuals with autism is unavailable in majority of European, Asian, South American and African Countries. Therefore, involvement of trained American specialists (especially multilingual) is becoming crucial for these countries. But behavior analysts who are “treating via Adobe, Skype, Zoom” and other internet based communication systems often being questioned on ethical legitimacy of this type of service delivery. This presentation will take a closer look at this new reality of behavior-analytic community. In today’s marketplace, a business without an online presence is unlikely to make significant gains and this includes ABA providers. 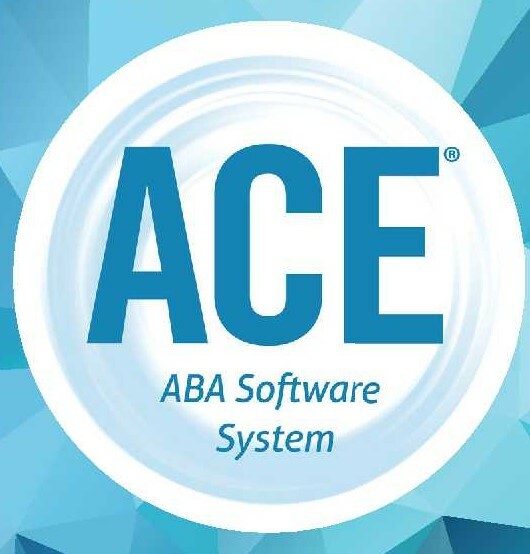 In an effort to communicate to potential clients and to differentiate themselves from other organizations, many ABA providers are using an increased web presence including website development, blogs, and social media, but in their efforts to grow their business, they may unknowingly compromise on ethical considerations such as client confidentiality. This presentation will review the ethics of using technology to grow a business including the common ethical mistakes made as well as ethical solutions for growth. In general, the skills necessary for employment are determined by both the demands of the job (i.e., the actual job task) and context in which those demands take place. While the field has become quite adept at targeting demand related skills, little attention has been given to those complex, context-based skills that generally fall under the heading of “soft skills”. Behavior Analysts, however, can look to the concept of social validity (Wolf, 1978) to better identify instructional targets and, in so doing, more effectively identify skills more directly related to employment success. One common challenge often associated with behavior analytic interventions is the transfer or generalization of treatment gains from clinicians in clinical or school settings, to caregivers and more naturalistic environments. That said, there are various steps we can take or program for to increase the chances for a successful transfer or generalization. Two such approaches include involving caregivers as agents of the behavior change, and/or pairing the intervention with specific stimuli that can be carried over to the naturalistic environments and exert a level of control over responding. In the current presentation we will discuss essential and successful elements of such approaches as well as case examples where these approaches have been successfully applied towards the treatment of feeding challenges as well as severe problem behavior. People with disabilities receiving services from several different providers may make substantial gains in each of those environments. It is equally important to ensure that each provider is working collaboratively to coordinate shared goals and promote generalization. This can often be challenging to achieve due to several barriers including scheduling, location, and different scopes of practice. This panel will discuss some of the barriers and solutions and how to effective and efficiently provide collaborative services. We have a duty and obligation as Behavior Analysts and Assistant Behavior Analysts to be knowledgeable about the laws around our practice within our state, and to become involved with legislative initiatives that may affect the lives of consumers of our services. Legislation was passed in Connecticut to include BCBAs and BCaBAs as mandated reporters of abuse, neglect or exploitation, which went into effect on July 1, 2018. We’ll review the current law in Connecticut concerning mandated reporters, and what changes this legislation involves. We will also review the process of reporting, including ways to manage difficult situations that might arise as a result.